Although Kenya cannot be classified as a "Football crazy" nation, Football (Soccer) is still the most the most popular sport in Kenya. No other sport comes close. The games popularity cuts across ethnic as well as class lines. Both national and international games are followed in the papers. The World Cup brings the whole country to a virtual standstill. Foreign leagues are also popular, especially the English Premier League whose popularity dwarfs its local counterpart. 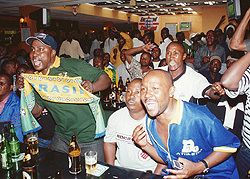 During the world cup, Kenyans will flock to their favorite drinking joints en masse to root on their favorite teams. Kenyan fans are also known to be very passionate about their favorite teams whether local or foreign and also passionately support the national team when it is doing well. Important matches pitting the national teams are always sure to pull in large crowds. When the national team is doing well, crowds of close to 60,000 attend the matches, with millions more watching on Television. Kenyan fans are passionate about their national team. Children can be seen in urban areas as well as in villages playing with a bundle of rags for a ball. There are formal tournaments played by youth in urban areas such as the "Sakata ball" tournament sponsored by Safaricom, a cell phone company and the Copa Coca Cola. Schools competitions are played at regional levels with the winner of each region playing in the national schools championships. 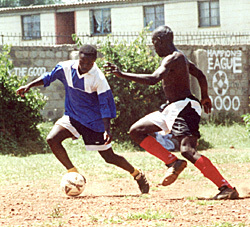 The fields of Eastlands in Nairobi have produced almost half of Kenya's best players over the years. The top national domestic competition is the Kenya Premier League. KPL is run by a company that is run and managed by the constituent clubs. 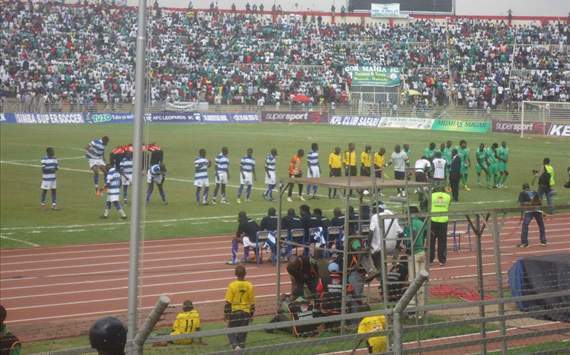 Sixteen teams compete in the Kenya Premier league each year. The second tier league is the Nationwide league. Each year 2 teams are promoted from the Nationwide League to the Premier League while the four teams with the worst record in the premier league are relegated to the provincial leages. A list of Kenya's league winners since 1963 can be found here . 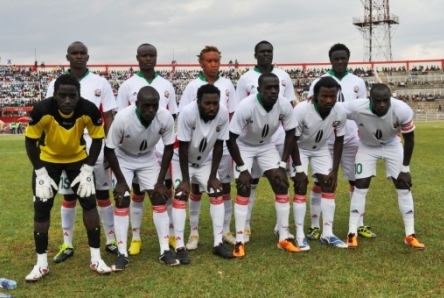 The national team popularly known as the Harambee Stars consists of the best players available in the country. It regularly participates in competitions such as the CECAFA cup, The African Cup of Nations , All Africa Games as well as world cup qualifiers. Gor Mahia and AFC Leopards are Kenya's most popular club teams. Matches pitting the two regularly draw huge crowds. Supporters of both teams are among the most passionate in the world. 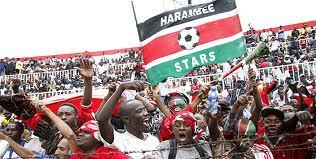 The Kenya Premier league comprises both self supporting clubs and Institutional teams. Some of the other popular self supporting teams are Sofapaka and Mathare United, a team from Mathare Valley, Nairobi's largest slum. Tusker, Ulinzi and KCB are among the more prominent institutional teams. 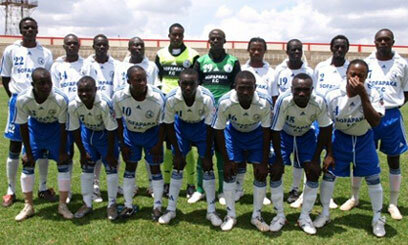 Sofapaka FC was formed in 2002 by Elly Kalekwa as a team competing in Inter-Church competitions. The team made waves when they won the Presidents cup in 2007 while still competing in the second tier nationwide league. That year they earned promotion to the premier league which they won in 2009. Kalekwa is credited with bringing professionalism into the way football clubs are run in the country.